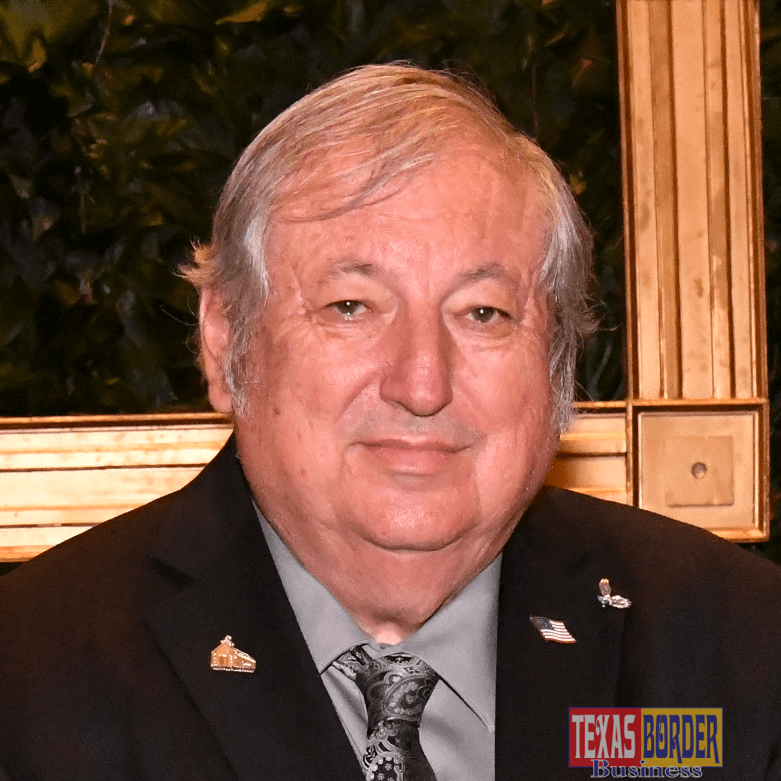 On January 25, 2019, Texas Border Business was invited to the meeting of the Rotary Club-McAllen South held at the McAllen Country Club. It was unique because the U.S. Border Patrol had been asked to give an update on the situation at the border. 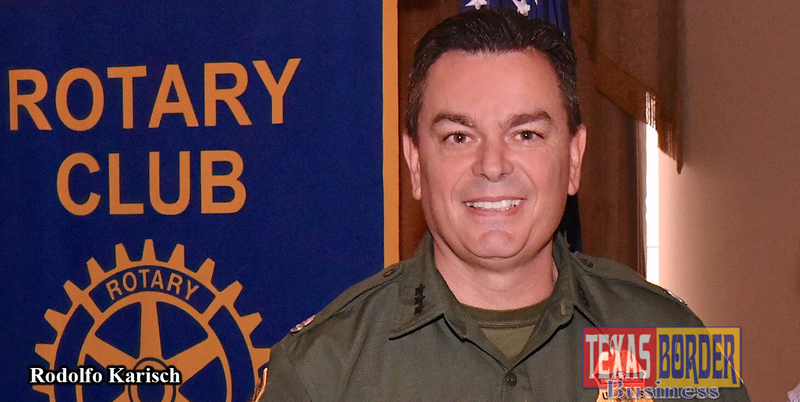 It was a pleasant surprise to hear Rodolfo “Rudy” Karisch, the new U.S. Border Patrol RGV Sector Chief, who introduced himself to the large group of Rotarians at the meeting. “This is my 4th day on the job, I just came from Tucson, Arizona where I was chief, but Texas is actually home. I spent 17 years in El Paso, and also an additional 5 years in Del Rio. So, I’m very familiar with the Southwest border,” stated Chief Karisch. Participation by the border patrol with community leaders is essential, but it is not new. The last time this reporter interviewed a border patrol sector chief was over thirty years ago. In April of 1987, I had the opportunity to meet with Silvestre Reyes. 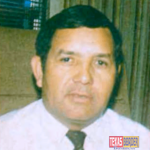 He served as the Chief for the McAllen and El Paso sectors of the Border Patrol from 1984 to 1995. Back then, as it is today, the border patrol interacted with members of the community. Reyes had an ongoing campaign to educate the public about the Immigration Reform and Control Act of 1986 which was about to take effect. The agency, at that time, was waiting for pamphlets and literature on the subject. The material, said Reyes, was overdue from Washington D.C. However, that does not mean that the Border Patrol was doing nothing. As a matter of fact, he said that they had six months designated for education on the new bill. They had held more than 42 seminars trying to educate employers, civic organizations, and service clubs. The border patrol is doing the same community education programs today, as it faces the dangerous and challenging situation unfolding at the border. The situation happening at the U.S./Mexico border is a combination of the illegal crossing of drugs, human trafficking, and dealing with an *exodus of biblical proportions from several Central American countries. No less significant is the number of individuals coming from other parts of the world. After listening to the Border Patrol’s presentation, it was obvious that they face a monumental challenge, but they are not complaining. However, when they disclosed the budget used to operate the border sector, it is clear they are at a great disadvantage to fight this fight. Nevertheless, the battle continues. 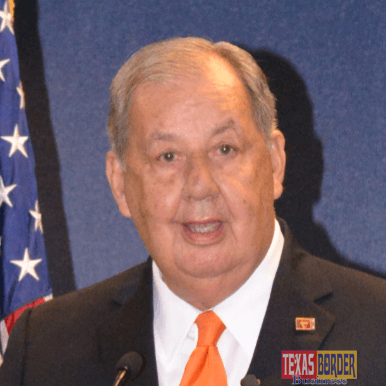 Texas Border Business contacted the office of U.S. Senator John Cornyn, to ask how this sector can fight this fight with only $17 million plus operational budget. “We need to look at border security as a combination of things. We need physical infrastructure; yes, that includes barriers, walls, fences, and vehicle barriers in appropriate locations. It also includes technology, radar, ground sensors, drones, and aerostats. 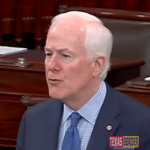 This is a layered approach that provides flexibility for the experts on the ground to determine what is best for each sector, what is best for each part of our immense border, and how to implement the changes necessary to achieve the desired results,” stated Sen. Cornyn. 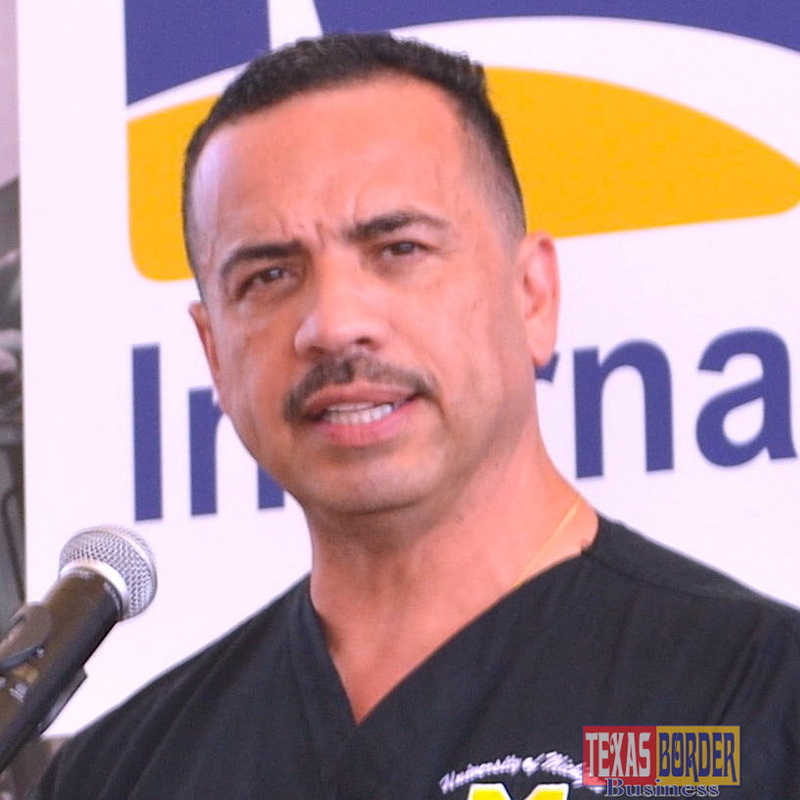 Border Patrol agent Raul Ortiz said, “But you’ve got to remember, we’ve been under continuing resolution or CR for almost the last three years. And every time we are under the CR, we’re only operating at 75% of the budget. So, we have to tighten our belt quite a bit throughout the year,” he said. Chief Karisch recognizes that it is a suite of things needed to make their jobs more effective, but as he said, his priorities are border security and public safety. The importance of keeping the community and partners informed precisely how Border Patrol is doing their operations is paramount. 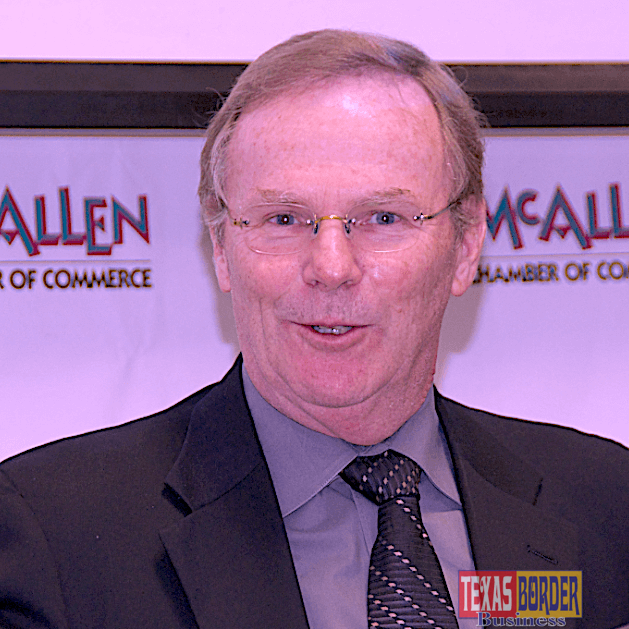 At least that’s how it was perceived by members of the Rotary Club-McAllen South. Concerning the drug problem, most everyone knows that the majority of it comes thru Mexico. But the other reality is that the U.S. population consumes and pays for illegal and dangerous drugs. The continued flow of drugs through our borders demonstrates that their appetite to use drugs also grows. For this report, we reached out to former McAllen Mayor and newly elected Hidalgo County Judge Richard Cortez for his reaction. Chief Karisch will encounter these types of responses from South Texas leaders, who are ready to work and protect the region. Local leaders agree that education is a vital part of the solution. He said that the criminal organizations south of the border operate in human smuggling, but right now it’s the drug trade that’s really tearing Mexico apart. Chief Karisch spoke about the influx of the Central Americans, primarily from Honduras, El Salvador, and Guatemala, which continues to unfold as you read this report, but they are also keeping an eye on Venezuela. On this regard, President Donald Trump has given the U.S. support to opposition leader Juan Guaidó, the interim president of Venezuela. Written by Roberto Hugo Gonzalez, a 2009 SBA Journalist of the Year Award winner and a 2009 and 2012 Paul Harris Fellow Award recipient. Read here a complete report on Total Family Unit Apprehensions by month from 2013-2017. Source United States Border Patrol. *When the Israelites left Egypt in the exodus, there were “about six hundred thousand men on foot, besides women and children” (Exodus 12:37). The “men on foot” number of 600,000 would have only included able-bodied, military-age men. The people of Israel had been living in Egypt for 430 years (Exodus 12:40). After a lengthy dispute with Pharaoh, during which God brought many plagues on the land of Egypt, Moses led the Israelites away from that land. Scholars believe that the total number of Israelites who left Egypt during the exodus, women and children and old men included, was around 2.4 million people. If we include Egyptians who chose to join the Israelites, the number would be even greater: “Many other people went up with them, and also large droves of livestock, both flocks, and herds” (Exodus 12:38).